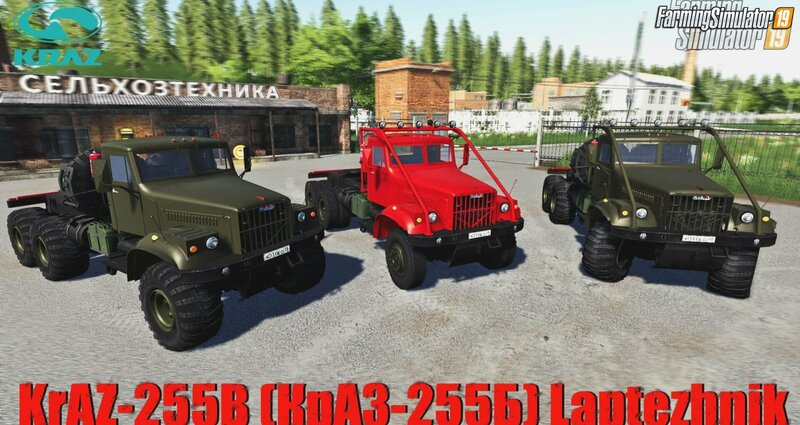 Download mod russian truck KrAZ-255B (КрАЗ-255Б) Laptezhnik v1.4 for FS19 | Farming Simulator 19 game. 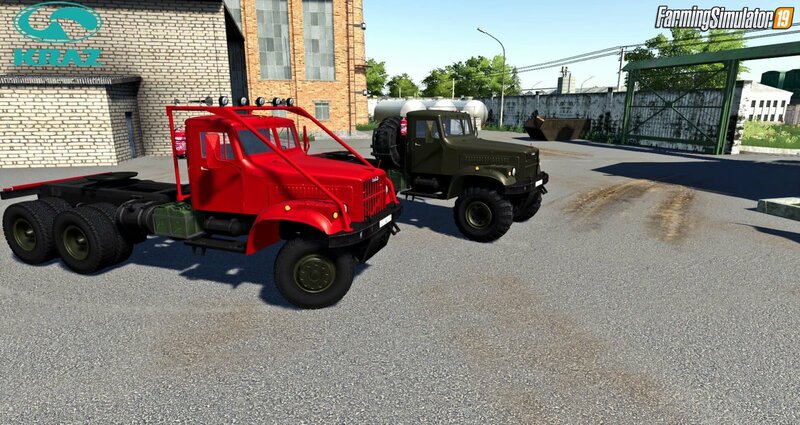 - some models have been replaced (now the right cans have normal canisters on Kraz’s side, and not something blue). - fix the stuck light source for a model with a frame. - replaced the cardan model. 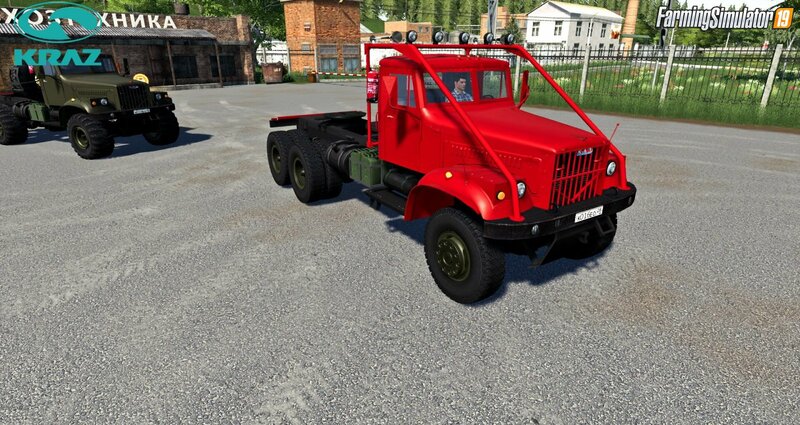 - The suspension travel was significantly increased and its rigidity was reduced: Kraz sags when loaded and beautifully plays wheels on the terrain. - Updated some textures and models (while at the minimum). - Available selection of primary color, color design and one of the discs. - There are 2 engines to choose from: authentic YMZ-238 for 240 forces and its modern modification YMZ-6585-04 for 420 forces (believe me, no longer needed, 1962 Nm of dragging in any situation). 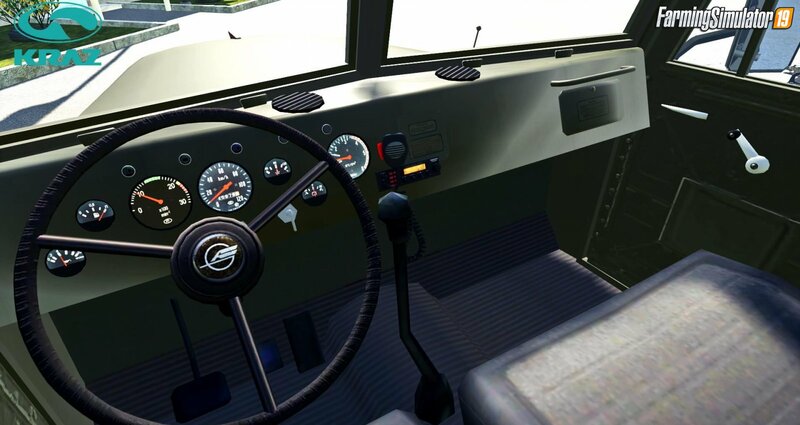 - 3 types of wheels: Road (although who needs them?) + Boggers with discs that can be painted + Boggers with authentic discs. - Working lighting, paid special attention to it, the lights turned out very realistic. 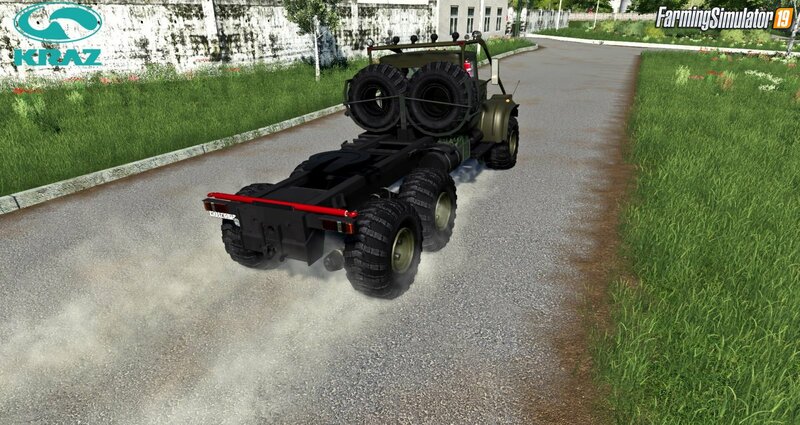 - Animated rear suspension (front is still oak). It is not BAG that on "F" working lighting is not Turns on, so done on purpose. I would be glad if someone will help with the front suspension .. 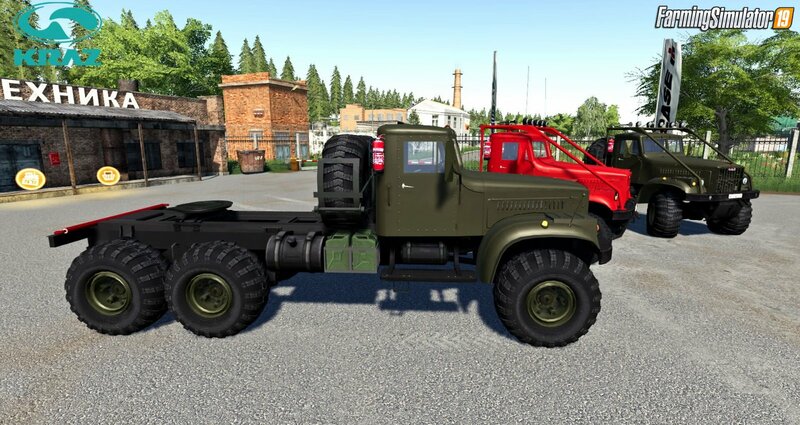 Installation instructions for «KrAZ-255B (КрАЗ-255Б) Laptezhnik v1.4 for FS19» - Your first action will be to download the archive using the appropriate button below. Mods on our site are virus-free, and 99.9% have any extension other than “.exe”!